I have a lot of respect for the Pediatric Aids Coalition (PAC). 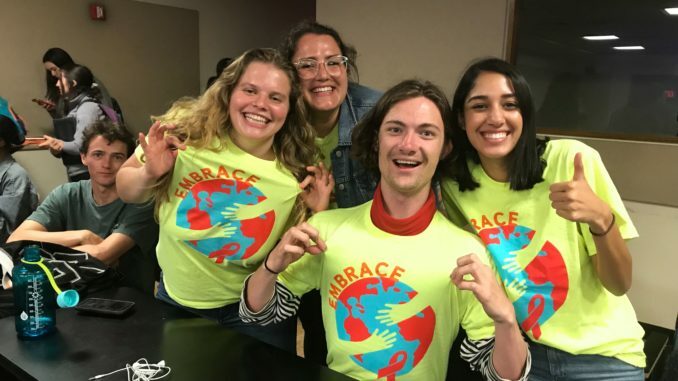 Its cause — researching a cure for pediatric HIV/AIDS — is extremely noble, and people seem to very much enjoy its biggest – sorry, its only – event, Dance Marathon. Perhaps the most impressive aspect of PAC is its members’ unbridled enthusiasm about advertising for Dance Marathon. The thousands and thousands of people in PAC show no hesitation in saturating their Facebook and Instagram feeds for months prior to the event, recruiting participants and soliciting donations for their campaigns by guilting loved ones into Venmoing $1 in exchange for an “I’ll tell you which ice cream flavor you are” Instagram post. 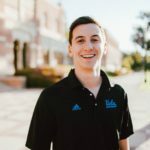 In addition to their digital campaigns, PAC members truly dominate Bruin Walk with impressive flyering tactics that tread the fine line between passionate and straight up aggressive. All this said, however, I am less impressed with one particular aspect of PAC’s advertising: the dullness of their PAC shirts. To match the brightness of their cause, I believe PAC’s shirts should be exponentially brighter. When I see a PAC member, I want to be physically blinded into signing up for Dance Marathon. The shirts should be so luminous that I have to put on sunglasses when someone in PAC enters the room. The current shirts are merely at a highlighter level. I want a PAC member to wear a shirt so bright that the other planets in our solar system mistake it for the sun itself and re-orient their orbits to revolve around it. I do believe PAC members are good people, and I want to believe that they are dedicated to their cause. However, the Coalition’s shirts must step it up a few kilowatts before they receive any money from me to fund research for pediatric HIV/AIDS. In the meantime, perhaps they can use the funds raised at this weekend’s Dance Marathon to purchase brighter shirts for next year’s campaign.